The University of São Paulo and Brazil’s National Council of Technological and Scientific Development funding agency (CNPq) have cleared a researcher of fraud following a six-month investigation. Endocrinology and metabolism researcher Curi, whose legal threats against Science-Fraud.org led to the shutdown of the site, has had two papers retracted and three corrected, all for image problems. “We will review the information and see whether or not we accept the result of the investigation,” said Luiz Henrique Lopes dos Santos, USP professor and member of the Coordination Deputy Scientific Director of FAPESP, accompanying the case. The foundation may open its own investigation, if the opinion is not considered satisfactory. Curi and his colleagues’ grant applications remain frozen during the process. Folha de São Paulo also reported on the findings. Although I don’t know any of the details in this case, I know another case in Germany, where it appeares to be understandable, that a bavarian university – basically fully independent of any democratic, political or governmental control – needed almost three years to start the pre-investigation (which according to their own rules should not take more than two weeks, but it was announced that a good investigation may take a considerable amount of time, my impression was, they wanted to take forever…, but it then did not even take three years to start the investigation, which means: someone is declared to name the members of a “suitable”, i.e. perhaps, independent committee…). Since the university controls itself, it was more than surprising that not all members agreed there was no plagiarism. So, my estimated guess is, wherever a university controls itself, there is a better chance to travel to the moon than to have a university to admit severest plagiarism or fraud. good old sarcasm, mate. And I am happy to see the reaction… It IS something appalling. like him in the system. Many of those belong in corporative organisations of different sorts (e.g. political parties or even religious groups), and they invest a lot in politics. They put a lot of pressure to force our best young scientists into fitting in, by preventing them from taking soar. Many are giving up their careers or moving abroad. Brazilian science is essentially another branch of politics, which is basically a local form of canalizing public money. Curi indeed sits at the top of what he built, and I guess international reputation might have not been his main goal. Altough I may agree with you CR, this pessimistic feeling is a sort of cancer that might be avoided at this moment. Altough brazilian science has some major flaws, there are some excellent research groups producing top notch science, specially at Rio, São Paulo and Minas. As you might know, in a big country like ours, the way of doing and discussing science may vary heaviliy among top ranked universities and a generalization is really unfair. CNPq now is devoting their attention to the Science without Frontiers project (CsF, millions of dollars), sending students (all levels) abroad and struggling to analyze the pros and cons of this strategy (since they must come back and keep the track, i.e. top quality science in Terra Brasilis), that will certainly become more clear in a 10 years time. However, we are still being supported by research grants from the NIH, Howard Hughes, CNRS, GSK and many others that have their own research integrity protocols and help somehow to keep our young bloods “in line” with international scientific ethic guidelines (if they really exist as an unique entity). I can see somehow that brazilian science is more open, argumentative and influent than our subequatorial counterparts, such as India and China (a whole world on its own). At least in biomedical sciences. Kudos to our fellow brazilian researchers that keep their integrity with solid and honest transatlantic branches. Sorry for a pessimistic view, but I am watching my good colleagues succumbing to the pressure of the system (either by letting go or by taking any easiest path) and CNPq rewarding those who ought to be punished and the government propaganda using CsF and university “quotes” to get more votes in much less than 10 years. New students coming to our lab know nothing, offer nothing and want grants. And this is a top-notch institute (rank 7) in a top university. Obviously we have many good people: the ones I know are not happy. Especially as they tend not to be or even stay at the top of the Brazilian ranking system. I am not so sure about quality of Brazilian science compared with India, China, and many others — this would need lengthy discussion with colleagues from these countries. In my field we are in fact doing quite well, but Colombia is always doing great and I suspect much better than us from a % standpoint. This is a view from inside. Hopefully when I settle outside like you (quite soon, I hope), I may also become more positive than my colleagues here, and feel much better. That should settle it, correct? Will the Curi bashers apologize now? Yes, everybody owes Dr. Curi a big apology and a bigger hug. We are soo sooory that somebody, maybe you mess up with your scientific data and you did not catch it. We are soo sooory that there are quit few people who still care about scientific integrity and you tried to shut them up and take their blog down. We are soo sooory that you were caught flat footed and your papers got retracted. Finally, thank you for teaching us not to do such a thing, as we may get away with it for awhile, but eventually, we are going to get caught and our name and reputation will be in the mud for the rest of our life. There is no reason to believe that Curi is straightforward. Brazilian funding agencies does not have a research integrity office, and this current investigation was conducted in a obscure way. There’s was not an official report, and if the case did happened elsewhere, he would be considered guilty. 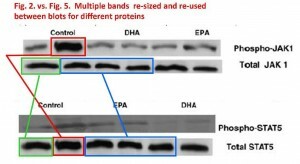 “ORI found that Respondent committed research misconduct by falsifying Western blot images”. BEIRÃO, P. S. L. . Canais iônicos e eletrogênese nas células excitáveis. In: Rui Curi; Joaquim Procópio. (Org.). Fisiologia Básica. 1ed.Rio de Janeiro: Guanabara Koogan, 2009, v. , p. 92-114. This detail is a really sharp observation!! At that moment, Curi was dean of ICB. Holy smoke! The guy that was the committe head for judging Curi’s fraud had published before with him, and had given lecture in Curi’s Institute? Owwwwww… So no conflict of interest from Beirao to judge it? Well, that settles it. LOL… that is just bizarre.